Counterpoint put out some interesting figures in its latest Market Pulse April Edition report. 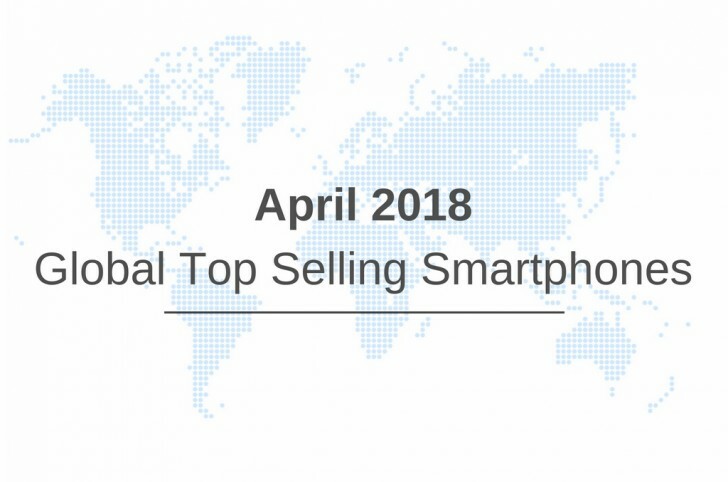 It details the top-selling smartphones worldwide - a chart which Samsung's current Galaxy S9 and S9+ appear to be dominating. The company’s analysts measured particularly good performance for the Korean giant in North America and the Asia-Pacific markets. Aggressive price cuts, bundle and cashback deals, and the similarities with the S9, have also allowed the last-gen Galaxy S8 a place in the top 10 list. 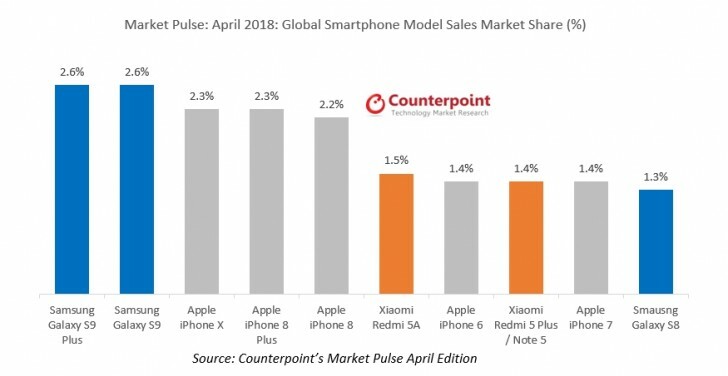 Still, despite seeing the iPhone X all the way in third place, on a broader scale, Apple is enjoying great popularity. Thanks to continued support and particular depreciation patterns on its premium devices, Cupertino is seeing a lot of interest towards its older models. In the aforementioned APAC and NAM regions, in particular, Counterpoint is reporting a very strong demand for the iPhone 7. Xiaomi continues to make its presence felt in a major way. It grabbed the sixth and eight positions, with the Redmi 5A and Redmi Note 5 (Redmi 5 Plus), respectively. Both quite affordable entry-level devices, that make for a rather interesting distribution within the top 10 chart. As it currently stands, a clear preference towards flagships and budget devices is evident. This is a bit odd, considering the constant improvements in mid-ranger quality and feature sets. Still, the very same trends have been trickling down to the budget segment as well. This could explain the mostly binary nature of the results, with average users either going for the most marketed, premium devices or opting to save as much as they can, while still being satisfied with what current budget handsets have to offer.